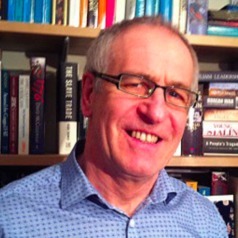 Professor McTavish has held senior positions in public and private sector organisations; he has operated as a consultant and adviser to business, third sector and public organisations. His background includes senior academic positions in a number of UK universities, working both in the UK and internationally. Duncan publishes extensively in leading journals, authors and edits books individually and collaboratively. He is editor of the journal Public Policy and Administration and serves on a number of journal editorial boards. Duncan peer reviews for major grant awarding bodies and has managed major research projects supported by UK governments and the EU. Duncan is a member of a number of professional-academic and scholarly bodies. He is also a non executive director with Glasgow Council for the Voluntary Sector in which capacity he operates at the community-public service-government policy interface.